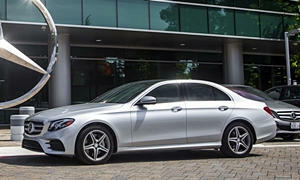 See repairs for all Mercedes-Benz E-Class model years. See TrueDelta's information for all Sedans, Wagons, Coupes, and Convertibles. See TrueDelta's information for all Mercedes-Benz models. See our lemon odds and nada odds page to see vehicles with no repairs or vehicles with more than three repairs. To see how frequently 1996 Mercedes-Benz E-Class problems occur, check out our car reliability stats.